Is the Moran building back from the dead? 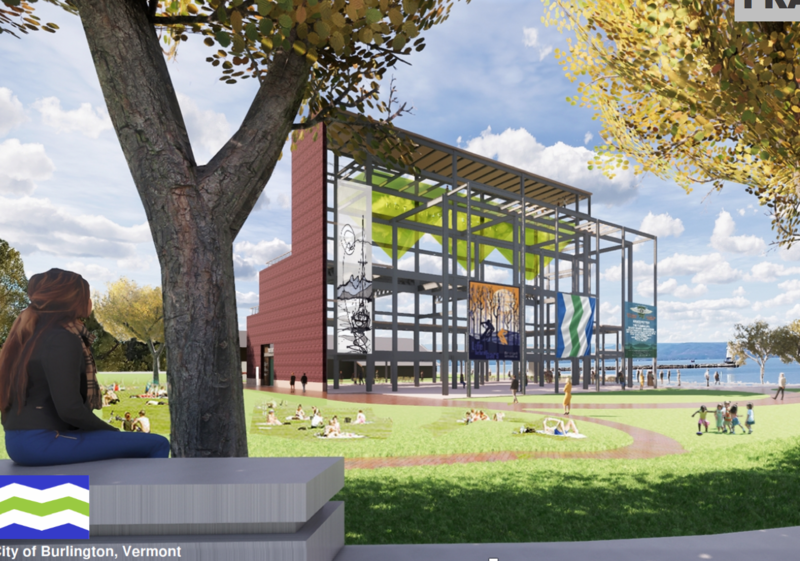 Burlington officials are once again considering a plan to redevelop the old coal-fired power plant, which has sat vacant on the Lake Champlain waterfront for more than 30 years and seemed destined to be demolished. This time, the city is proposing a partial redevelopment — not a full renovation, said Neale Lunderville, interim director of the city's Community and Economic Development Office. And unlike previous, divisive proposals, the idea was met with unbridled enthusiasm by city councilors at a meeting Monday night. Under the plan, the basement of the old structure would be filled in and most of the brick exterior would be removed. The remaining structural steel skeleton and roof would create an open-air space for concerts or events, a skating rink or public park. It would be built and run by the city and would cost between $5.2 and $5.5 million. Lunderville described the proposal alongside a team of public and private partners: Jesse Beck, an architect from Freeman French Freeman; waterfront superintendent and harbormaster Erin Moreau, who would help run the new building; and Erick Crockenberg, a member of the New Moran team, which previously tried — and failed — to redevelop the plant. As the city was brainstorming possibilities for the building, Lunderville said he learned that Crockenberg and other volunteers were similarly considering the future of the defunct plant. The two groups joined forces. Crockenberg called the new plan an "elegant, impactful compromise." "It's pragmatism in its most beautiful manifestation," he said. Fittingly, Lunderville and his team dubbed it the FRAME concept: A "Fearless Relook at Moran Electric." The proposal leaves open the possibility of additional renovations and uses including viewing decks, a stage or playground. Those additions would require more money but would not need to be built in the first phase. Lunderville noted that the plan he presented Monday was an initial sketch, subject to council approval and public vetting. “It turns what is widely perceived as a eyesore into an iconic landmark,” he said, adding that a full renovation of the plant is not likely. Various groups have pondered possibilities for the decrepit, graffiti-covered building since it was decommissioned in 1986. In 2014, Burlington voters approved spending tax increment financing money toward redeveloping the building. A group of private developers, New Moran, launched a $26 million plan to renovate the space, but that effort never got off the ground and the city pulled the plug in August 2017. A city study determined that demolishing the building would cost between $4 million and $10 million. Instead, the building is still standing — and could now get a makeover. The city would fund the project with $5.4 million, which includes some TIF money left over from the 2014 vote and a $2 million dollar loan from the Department of Housing and Urban development, according to Lunderville. The timeline is tight: The TIF money must be bonded for by the end of 2019. "This is something that can happen now," Crockenberg said. Councilors said the fresh plan came as a surprise. They posed questions about community input and the potential for solar panels at the site. But they voiced overwhelming support. "I'm so excited I can hardly contain myself," said Councilor Sharon Bushor (I-Ward 1). "I love how you think outside of the box." 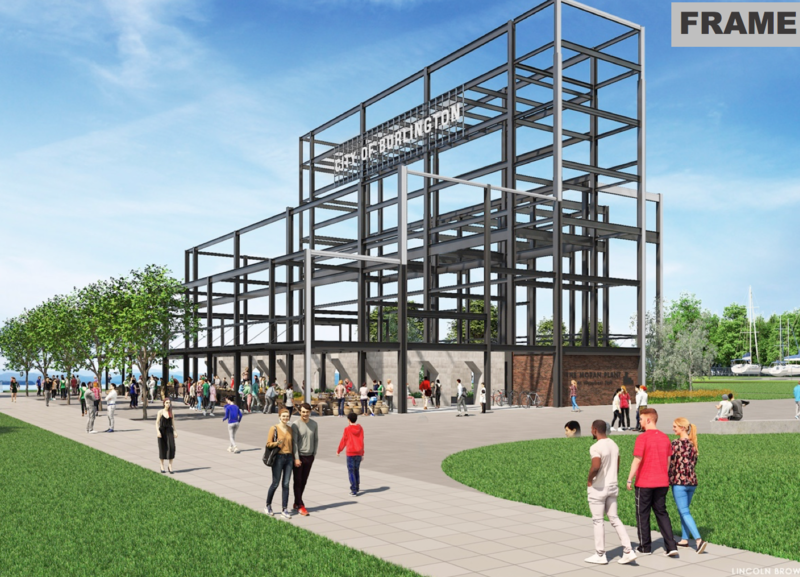 Councilors praised the plan as pragmatic and innovative, and ultimately voted to have its Parks, Arts and Culture committee take up the proposal. "I think it's realistic, I think it's affordable and I think it's doable," Councilor Dave Hartnett (D-North District) said. "I don't think we've heard that for a long time." Correction, December 11, 2018: A previous version of this story incorrectly stated the 2019 deadline that the city faces.